Cape Radiology is a private radiology practice, based in the Southern Suburbs of Cape Town, South Africa. 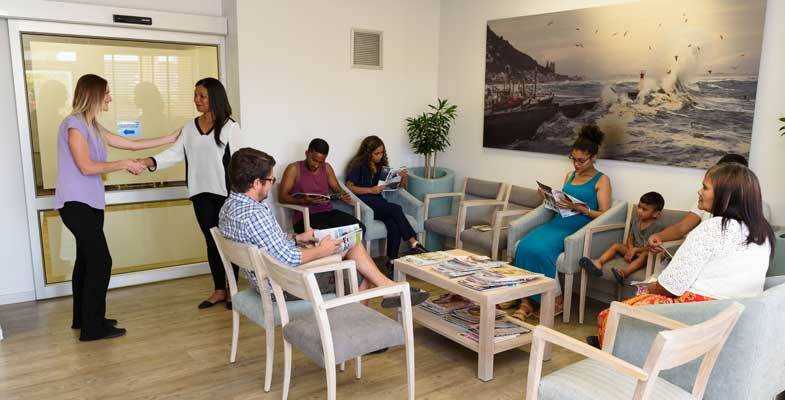 The practice is primarily based at Mediclinic Constantiaberg with a stand-alone imaging centre in Fish Hoek. The practice has nine radiologists and employs over 80 people at the three sites. All modern imaging modalities are available: MRI, MDCT, high resolution ultrasound imaging, colour Doppler ultrasound, DXA, dedicated breast imaging centre and the full range of conventional radiography. Our radiologists are highly skilled general radiologists with individual subspeciality expertise in neuroradiology, Musculoskeletal imaging, cardiac radiology, breast imaging, gastroinstestinal/body imaging and interventional radiology amongst others. Specialised screening services include breast screening (mammography, breast tomosysnthesis and breast MRI) , low radiation dose lung screening, virtual colonoscopy and non-invasive coronary angiography. For more information please e-mail us or phone us on +27 21 761 0036. Cape Radiology has joined a consortium to provide PET-CT (merged Positron Emission Tomography and CT scanning) in Cape Town at The Cape PET-CT Centre.